The release of the September 2013 IRS tangible property regulations (TD9636) under Sections 162(a) 263(a) has changed the manner in which the residual basis of existing assets is handled following removal on a remodeling project. In the past, demolished assets had to be carried on the client’s books until the full cost had been recovered and ultimately retired. Now, however, the value of the removed assets can be written off as abandoned components (Note: This only applies to 39-year real property). 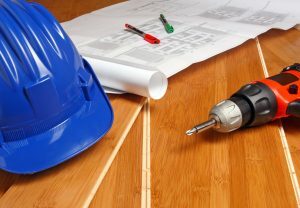 Not only does this regulation take effect immediately, but an owner can also write off removed components from remodeling projects performed during the past ten years by filing a Form 3115 (Change in Accounting Method). Lindon Engineering Services has now developed its own procedure for identifying, quantifying and estimating the cost of the removed 39-year property. Our clients can now realize an additional write-off equal to the value of the abandoned assets less the accumulated depreciation of these components. The result is an additional write-off in the year incurred and the retirement of the disposed assets. An obvious obstacle to claiming this allowance is determining the cost of the removed components. Unless the cost of the individual components was known prior to the renovations, calculating their cost can be an arduous task. In the course of calculating individual asset values for cost segregation studies, we have had to calculate the value of demolitions and removals of a variety of components when reconciling the cost of a project. This application is readily adaptable to determining the cost of removed components for abandonment purposes. In order to perform an estimate of the removed assets, we require access to the construction drawings including a set of the demolition plans, the most recent depreciation schedules of the facility and the contractor’s final pay application. The resulting asset disposition should provide a list of the components removed, their estimated cost, the accumulated depreciation of each as of the date of construction and the net asset cost to be abandoned. If you have questions regarding how this might affect your renovation program, please feel free to contact us at 1-812-282-1250.